For centuries Crimea was closely linked to the Ottoman Empire. Today Turkey’s Black Sea neighbour seems so close yet so far away. 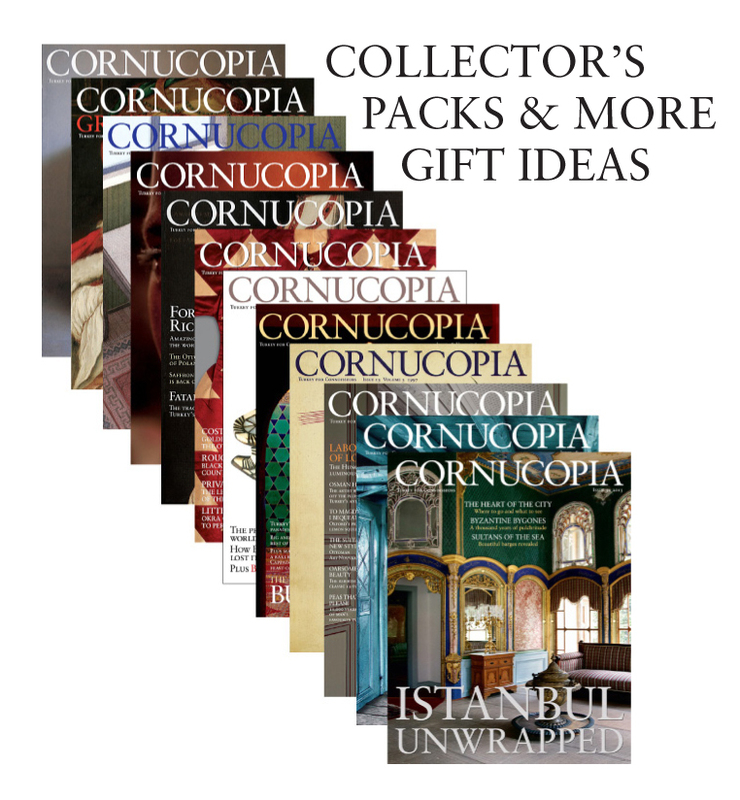 Cornucopia's new issue, no 49, changes all that with a special 100-page portrait of the peninsula. Turkish Airlines has daily flights from Istanbul to Simferpol (arriving early morning and departing late evening). Flights also arrive from Kiev and from there you can fly to Simferopol or take an overnight train. Simferopol is the Crimean terminus for many trains from the Ukrainian and Russian network, with summer holidaymaker trains laid on even from far corners of Siberia taking several days to reach the sunny peninsula. In summer a train runs from Berlin. South of Simferopol there is only one line, to Sevastopol via Bakhchisaray. Within Crimea railways are thus of limited use, and in any case require a basic command of Russian. The odd ferry sails to Sevastopol from Istanbul but timing and information are erratic. A better service runs to Odesa, from which a night train links to Simferopol. Most other destinations within Crimea are reached by buses, from several bus stations in Simferopol; note that these are invariably full and it may be necessary to buy a ticket and wait an hour or two for a seat. Minibuses are more informal, more frequent, even more packed and driving standards are variable. Trolleybus route 52 is the longest in the world, running 54 miles from Simferopol via Alushta to Yalta, arguably the most relaxing mode of transport if a little slow. Alternatively, hire a car and driver. At Simferopol railway station, you can join with other passengers to share the cost. When preparing its special Crimean issue, no 49, due out April 2013, Cornucopia travelled with the excellent Taxi “Express” (+38 050 808 6972) – for an 8-hour day their price is 1200 UAH (£100); for 24 hours it is 1550 UAH (£125).